In late 2015, the City of Cedar Rapids started exploring replacement options for an undersized drainage structure on Hoosier Creek at Kirkwood Boulevard. 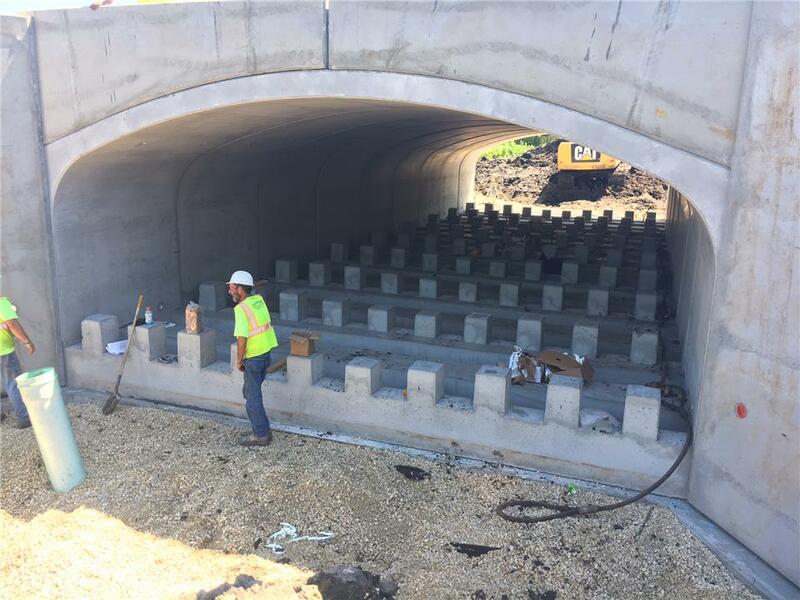 The calculated flows initially pointed towards a double cell concrete box culvert, but this solution posed challenges from both an aesthetic and maintenance standpoint. A clear span CON/SPAN Bridge System appeared to address both challenges and would provide the City with a complete system, consisting of structure, headwalls, and wingwalls. Upon further investigation of the site, it became apparent that the in-situ soils were weaker than originally anticipated making conventional foundations making the use of conventional foundations and a traditional bottomless CON/SPAN more challenging. Contech Engineered Solution’s new CON/SPAN® i-Series® Bridge System, however, provided an innovative structural option with an integral foundation system that eliminated the need for conventional footings. The City pushed forward with the design and was poised to bid the project in time for summer construction in the hopes that the structure could be installed before the local community college opened in the fall. Unfortunately, permitting approvals were not obtained in time and the bidding of the project was postponed. Taking advantage of the additional time, Cedar Rapids took a closer look at the site and had additional conversations with the Department of Natural Resources. This deeper analysis led to an increase in design flows, a formidable set back. At this point, the City solicited the help of Bolton & Menk, out of Cedar Rapids, to help get the project across the finish line. Bolton & Menk, essentially, went back to the drawing board to determine what solution would address the myriad of needs. After a few months of detailed hydraulic analysis, and numerous conversations with Contech, they also concluded that the i-Series Bridge System would be the best design solution for Kirkwood Boulevard. The project gained momentum and was bid in March 2017. The final design, installed by Ricklefs Excavating in July, was a 24’ x 9’ CON/SPAN i-Series, 93' in length, with precast headwalls and wingwalls. The choice to specify precast components made the difficult task of getting the structure installed and backfilled before the community college’s fall semester much more manageable. 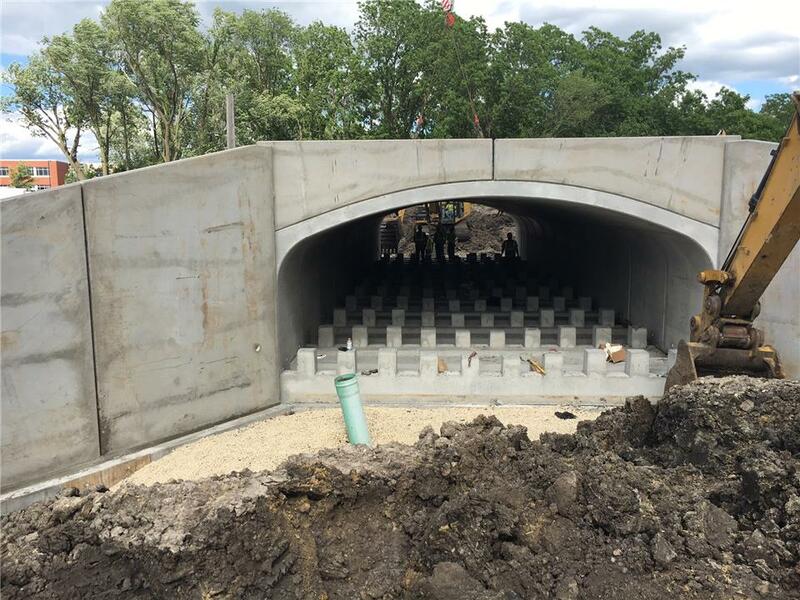 "The CON/SPAN structure not only satisfied our aesthetic and environmental needs, it was able to be installed quickly which was needed to meet the very tight time frame," stated Kevin Vrchoticky, Project Engineer I with the City of Cedar Rapids, Public Works Department.